We have 18 registered suppliers in this Province ..! It is one of the most important administrative, economic, financial and commercial centers of Ecuador. 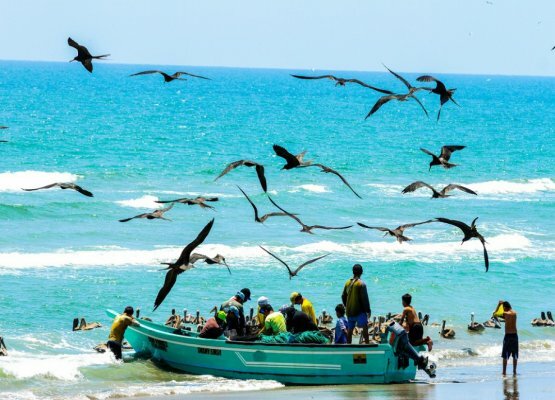 The main activities of the province are trade, livestock, industry and fisheries since it is the second most important port in the country and the largest tuna factories in Manta, the agricultural sector in rural life; and, tourism, mainly on its extensive beaches. Manabí is a privileged area full of millenary culture since this province have been made important archaeological discoveries that have determined the existence of very ancient cultures. The oldest are those of the so-called formative period (4,000 a.c), Valdivia, Machalilla, Chorrera. Those of the period of regional development are Bahia and Guangala; of the integration period: Chirije and Manteña. The manteña culture, the manteña-Huancavilca culture is in the integration period from 9500 to 1,500 years d.c.). Which means that it was the last pre-Columbian culture in this region and the one that suffered the impact of the arrival of the conquerors.